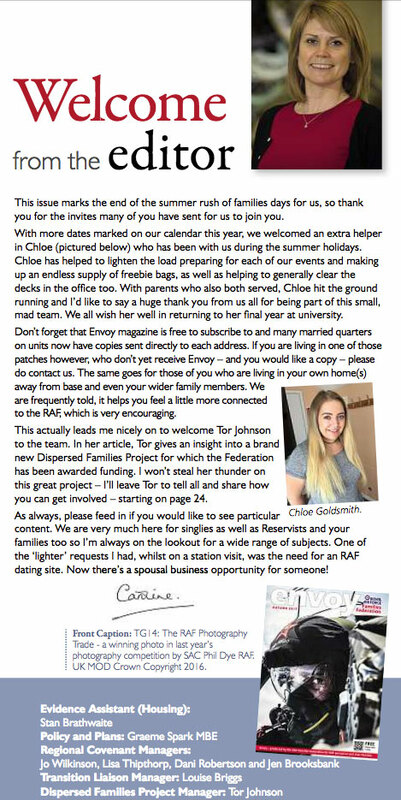 The summer months are a busy time for the RAF Families Federation. In 2017, the team had not only recently expanded with a number of new home-based employees, but the RAF Stations in and around the UK, had their families days too which meant staff needed to be on the road, at events and – crucially – out of the office. As a result, the team were juggling expenses from home-based employees, payroll details, and rotas for road trips – all whilst planning the next budget and much, much more. They needed someone who could step in, help out and ease some of the workloads. “When Ruth suggested we bring in additional office team support, it was a no-brainer to help alleviate workloads. It was just a case of finding the right person for the team and the job in hand. The RAF Families Federation provides an independent voice for the issues and concerns of RAF personnel be they Regular, Reserve, single, married or in a partnership, together with their families. 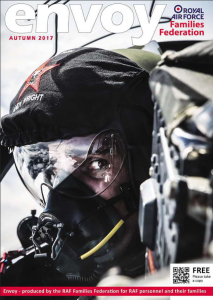 With direct access to senior RAF and MOD staff as well as Government ministers, the Federation has an incredibly important and valuable job to do. That’s why their team are so highly valued and crucial to the work they do for the RAF and their families. “ACR worked extremely hard to find candidates that would be the right fit for us. It was important that we found somebody who not only got on with the job but who also got something positive from their experience with us,” Caroline explained. After being instructed on the Federation’s requirements, ACR recruitment partner, Judith Broughton, put forward a handful of temp candidates for Caroline and her team to consider. “We had a very good selection of candidates to choose from. As the role was so important to the running of our offices and administration, we wanted to make sure we brought the right person in – so we made the decision to run a few interviews. As a result, the Federation brought in Chloe Goldsmith as a part time office assistant between June and September. Having previously worked with ACR on a temporary basis, Chloe had recently returned home from Leeds University of the Arts for the summer holidays. With parents who had both served in the RAF, the placement at the federation was the perfect opportunity for Chloe to earn whilst also gaining valuable experience for her CV. You can read more about Chloe’s journey with ACR here. “Chloe was exactly the person we needed. She came in and hit the ground running. Chloe is a real doer; she picked things up quickly and didn’t shy away from new challenges. It was hugely refreshing to have her as part of the team and we hope she has gained experience that will look great on her CV. “Chloe wasn’t just a breath of fresh air in helping us with our administration workloads, she was a fantastic ambassador for the Federation too. Chloe joined us at families days and had some fantastic transferrable skills that were hugely appreciated in the office,” said Caroline. With experience having set up her own website, Chloe had a strong ground knowledge of all things digital, which she was able to adapt to her placement at the federation. “We needed someone who could help upload content to our website and make sure everything was fresh and up to date. Chloe did exactly that. If you are looking for temporary staff that can add as much value to your organisation as Chloe did for the RAF Families Federation, then get in touch with the recruitment team at ACR. We would be delighted to discuss your requirements with you. Get in touch with us here.